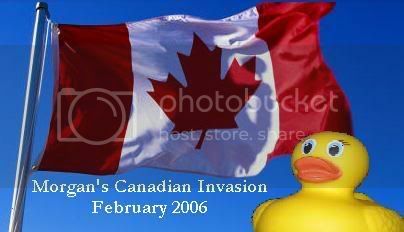 Welcome to the offical page of Morgan The Traveling Duck! Morgan is a little rubber ducky that loves to travel. Morgan started his adventures in September 2005, and continues his travels to wherever he can go. Morgan is back from our Northern neighbor, and the pics are finally here! Morgan's Weekend in Salem, Mass. Morgan doesn't have any travel plans right now. Check back soon to check and see any future adventures of America's favorite rubber ducky!